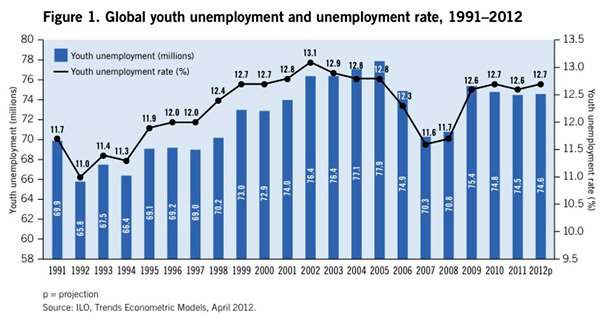 07 October 2012: Gains in employment rates for young people have been wiped out by the economic crisis. According to the International Labour Organization’s (ILO) Global Employment Trends for Youth 2012, it may take 4-5 years before jobs rebound. In the meantime, many of the 75 million unemployed young people will completely give up looking for work. The world is facing a worsening youth employment crisis: young people are three times more likely to be unemployed than adults and over 75 million youth worldwide are looking for work. The ILO has warned of a “scarred” generation of young workers facing a dangerous mix of high unemployment, increased inactivity and precarious work in developed countries, as well as persistently high working poverty in the developing world. World Day for Decent Work is a day for mobilisation for all trade unions across the globe, from Fiji in the east to Hawaii in the west. 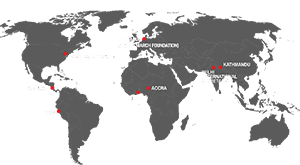 Every year we have hundreds of activities in a hundred countries, carried out by millions of people. Since 2008 the International Trade Union Confederation (ITUC) has been organising the World Day for Decent Work (WDDW) on 7 October. This is a day for mobilisation all over the world: one day when all the trade unions in the world stand up for decent work. Decent work must be at the centre of government actions to bring back economic growth and build a new global economy that puts people first. At its 101st International Labour Conference in June 2012, the ILO adopted a Resolution calling for immediate, targeted and renewed action to tackle the youth employment crisis. Building on this, the focus for the 2012 World Day for Decent Work is job creation for young people. “The issue of unemployment for young people is a global crisis but where each national government needs to take its own responsibility, and this is a big responsibility for the labour ministers,” said ITUC General Secretary Sharan Burrow.